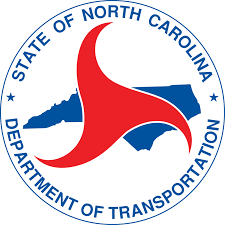 The North Carolina Department of Transportation and City of Mebane propose to widen N.C. 119 between Trollingwood-Hawfields Road/Old Hillsborough Road and Lowes Boulevard. A community meeting was held on Thursday, April 4 at Hawfields Presbyterian Church. Area residents may also submit comments by email or phone by April 18. For more information or to submit comments, contact NCDOT Project Engineer Jennifer Evans at 336-487-0023 orjenniferevans@ncdot.gov. The project aims to improve traffic flow and pedestrian safety by adding an extra travel lane and constructing sidewalks in both directions of the corridor. The plan calls for a center turn lane between Trollingwood-Hawfields Road and Hawfields Middle School Drive, and a concrete median between Hawfields Middle School Drive and Lowes Boulevard. A map and other details can be found on the NCDOT public meeting webpage. The meeting was held on Thursday, April 4 at Hawfields Presbyterian Church. It was an informal, open house-style meeting. Project representatives were on hand to answer questions and listen to comments that will be taken into consideration as the project progresses. Area residents may also submit comments by email or phone by April 18. For more information or to submit comments, contact NCDOT Project Engineer Jennifer Evans at 336-487-0023 orjenniferevans@ncdot.gov. NCDOT will provide auxiliary aids and services for disabled people who wish to participate in the meeting. Anyone requiring special services should make arrangements as early as possible by contacting Tony Gallagher at 919-707-6069 or magallagher@ncdot.gov. People who do not speak English or have a limited ability to read, speak or understand English may receive interpretive services upon request prior to the meeting by calling 1-800-481-6494.